Baltimore neighborhoods reflect a legacy of segregation more than half a century since the Civil Rights movement eliminated most barriers that were enshrined in law. Lines still divide the city, separating out areas where residents are overwhelmingly black from those that are diverse or mostly white. On the mobile app? View the map here. 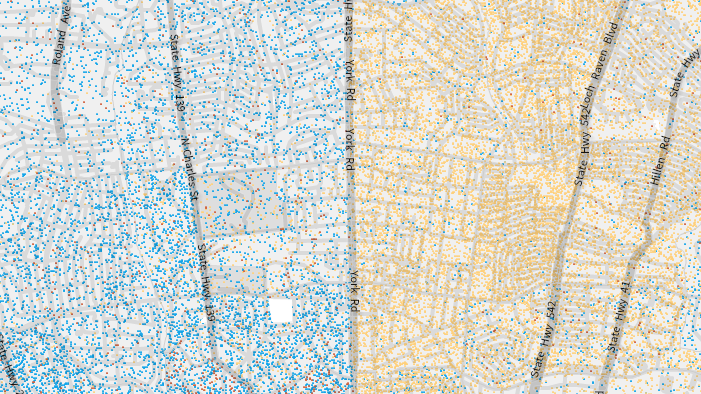 The differences between neighborhoods stand in contrast with the city's average, where 30 percent of its 620,000 residents are white and 63 percent are black. Using our app? Tap here to view the map. 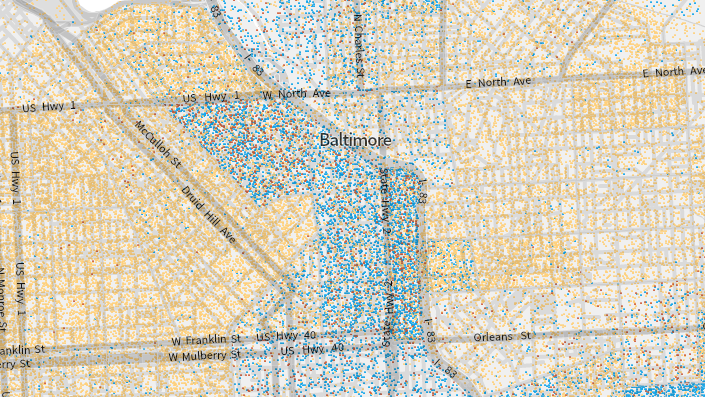 The division is clearest in northern Baltimore, where neighborhoods west of York Road - including Guilford and Homeland - are majority white and those east of the road - including Greater Govans and Northwood - are majority black. The split is also evident in the neighborhoods flanking the city's center - including Upton, Sandtown-Winchester, Oldtown and Jonestown - where the racial make-up rapidly shifts around Midtown and Downtown Baltimore.